Have you ever contemplated investing in property? Or, to be more specific, have you thought about it and then put it in the ‘too hard’ basket? You’re not alone. People all over Australia are disregarding property investing in favour of the things they think they need right now (smashed avo on toast, anyone?). Giving up the wants of your present to make sure you can cover the needs of your future is enormously important, and property is a sensible way of doing just that. 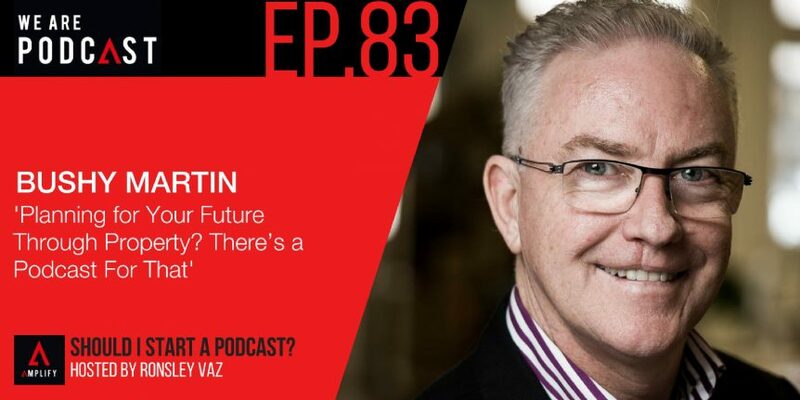 In today’s episode of Should I Start A Podcast, I talk to Bushy Martin, entrepreneur, thinker, founder of Know:How Group and one of the Top 10 Property Specialists in The Property Investor magazine, on the benefits of planning ahead, foregoing frivolous things in favour of a comfortable future, and how you can achieve your dream lifestyle through property investing.